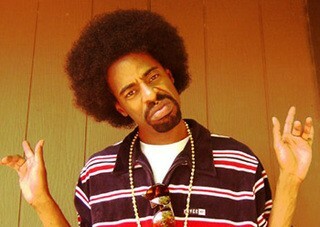 The late Vallejo rapper Mac Dre is an undisputed Bay Area music legend and godfather of the hyphy movement. A stylistic innovator and staunch proponent of individuality, he became a symbol of unapologetic self-expression as well as regional pride after his untimely death in 2004. Even twelve years after his passing, his iconic sound and exuberant persona continue to have a major influence on local hip-hop culture. While, locally, Mac Dre has a cult-like following, the level to which Bay Area rap fans worship him befuddles cultural outsiders. Now, however, Thizz Entertainment — Mac Dre's former label that manages his estate — is releasing a documentary about the late artist: Mac Dre: Legend of the Bay. The feature film, due out online next Tuesday, includes interviews with Mac Dre's friends, family, and big-name artists such as Wiz Khalifa and Warren G. It sheds light on the rapper's cultural importance as well as his political outspokenness. Check out the trailer below.